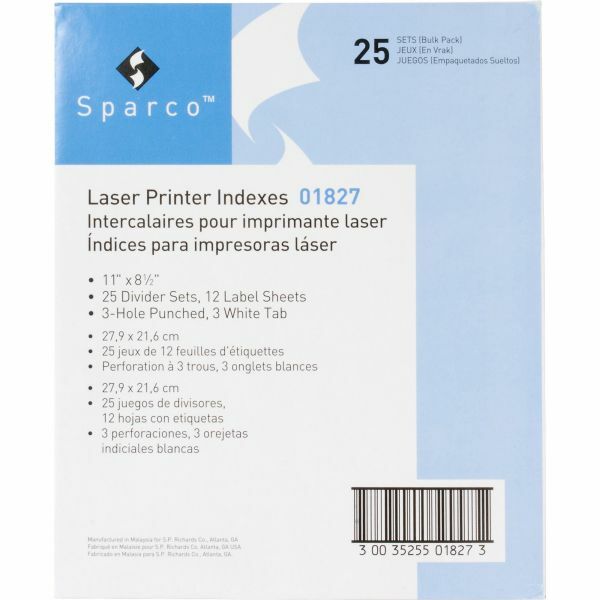 Sparco Laser Printer Index 3-Tab Dividers With Labels - Customize tab titles and create professional dividers using laser printers. 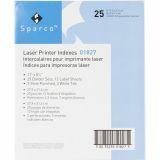 Standard software programs provide label layouts for quicker and easier formatting. The labels virtually disappear when applied to tabs. Three-hole punched edge makes the dividers ready for standard-size binders. Dividers include easy-to-follow instructions.